Jewels ripening, jam jars prepared. hammocks waiting to be hung. Fields of wildflowers smiling at the sun. Spotted fawns feasting on the high weeds. Sun rises early over the distant hill. Berries transformed, sweet on the tongue. Thank you! Reblogs are very nice! Yes… I always think June is my favorite month until July arrives. 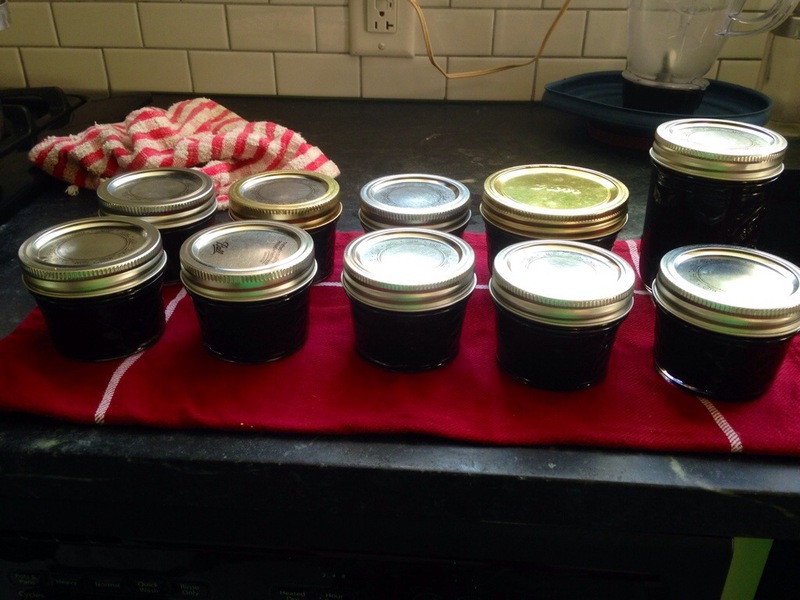 And, a logistics question…when you make blackberry jam, do you strain or leave the seeds in there? We have an old food processor that we run the purée through several times. Correction: Mr. H. C. has informed me that it is an old juicer we use, not a food processor. So it has a strainer, and we still put the purée through several times. Beautiful . . it doesn’t get better than this. Beautiful photos! and that jam is just waiting for a nice loaf of bread to come out of the oven. I love this! The images, the feelings of July. Especially the bare feet in clover! And the berries. Your pictures are so idyllic for this city girl. :) Your picture of July is refreshing. Thank you Jeanne. I’ve been working on feeling external peace, which helps me feel internal peace. It shouldn’t, I know, but it does…. This July has been so perfect! Love the poem and photos! I wish I had some of that jam, yum! Absolutely beautiful words and images. Lovely pictures. I love blackberry jam! Your post is a lovely hommage to summer. Each season that comes seems to be my favorite. Except winter. Could definitely do without that one. Thanks for visiting! Oh thank you so much for such a lovely comment. It made my afternoon.